Looking for quality golf courses that are open year round to the public? Prefer to play on a PGA designed course? Clark County has eight 18-hole golf courses, making it one of the state’s great undiscovered golf destinations. Our pastoral region provides breathtaking backdrops to traditional, tree-lined courses and urban lakeside links. Most of the golf courses in Clark County are only minutes from lodging, shopping, and dining. So after the score cards are signed, head to one of Vancouver’s 19th hole options. Traditional clubhouses and independent restaurants are a great way to celebrate your time on the links. 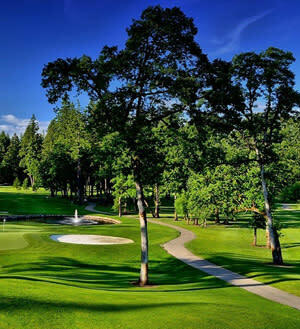 Golf in Vancouver isn’t just for the adults—it’s great for the family too! A number of Vancouver’s courses offer programs and junior golf academies specifically for young athletes. There are also many Par 3 courses in the area that keep the young ones engaged. Golfing with the kids or grandchildren is a great way to spend an afternoon outdoors and introduce them to the game and its rewards.